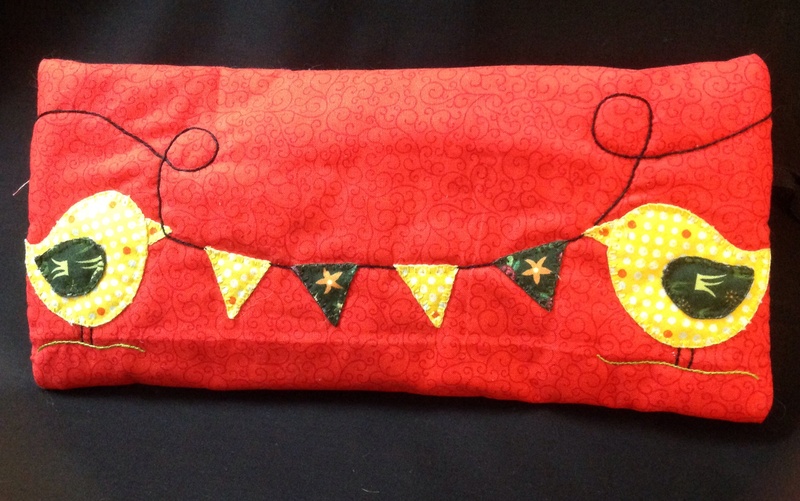 The Apatcheez have been as productive as ever this week with several completed projects. Some are a little shy at first at being photographed for the blog but eventually they see the funny side. 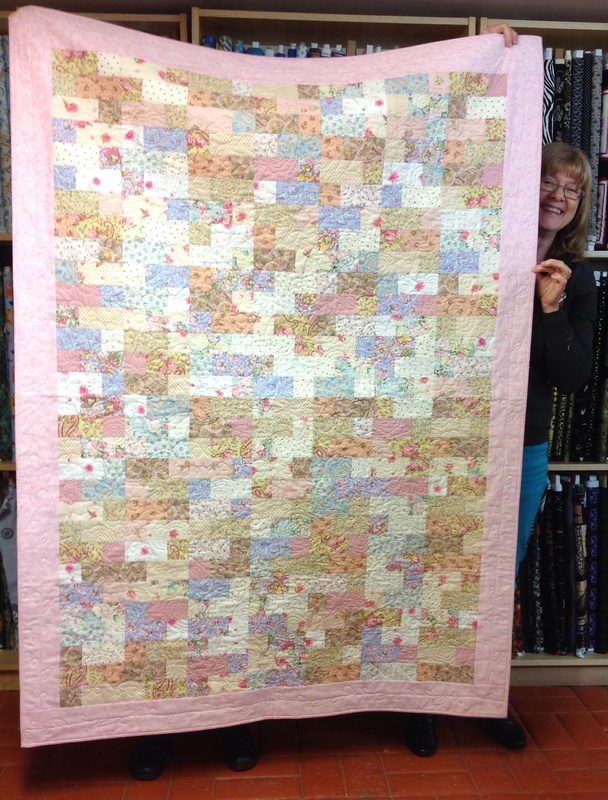 Yes it’s Chris with her lovely scrappy quilt. Surprisingly Chris didn’t like the way this turned out at first. 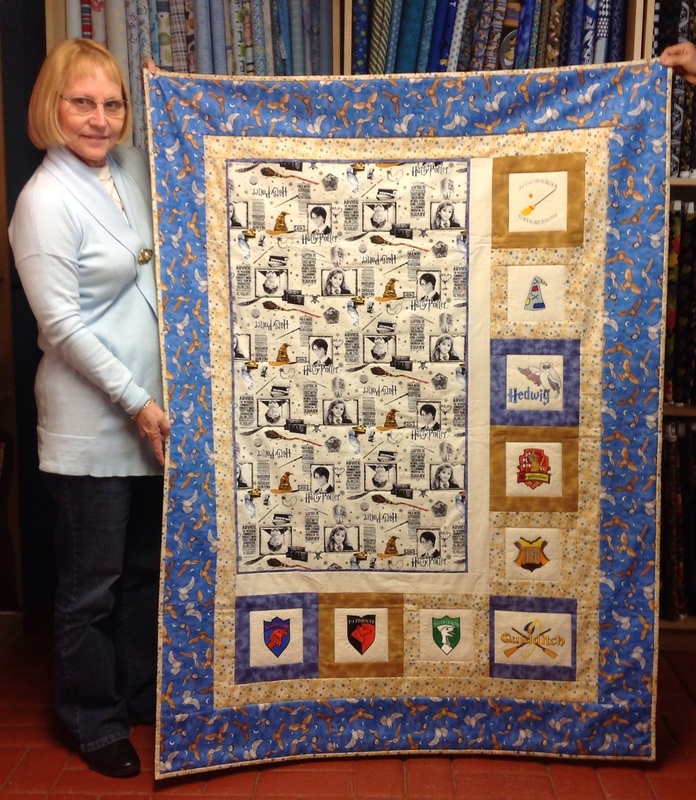 We thought it looked wonderful and her quilting is extremely good. That’s what practice does for you girls. This stunner was worked by Bev – a lady who always tries lots of different techniques and isn’t frightened to try something new. This quilt was difficult to photograph because it was so large but you can see the impact even with the poor photographic technique. It shows the effectiveness of the humble log cabin block, the force of the large block and of course the optical strength of the colour against the greys. Elaine brought her Harry Potter quilt in for show-and-tell. This machine-embroidered beauty makes great use of the fabric and is also an excellent example of how asymmetry can work well in a design. Lynette finished this quilt which is to be a gift for her friend. 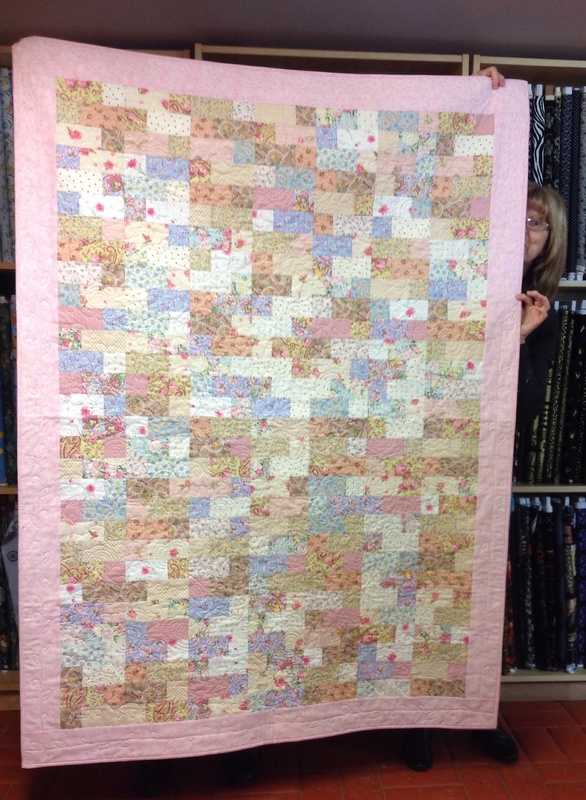 Lynette quilted this in class by tackling one long section at a time before joining the three sections together. 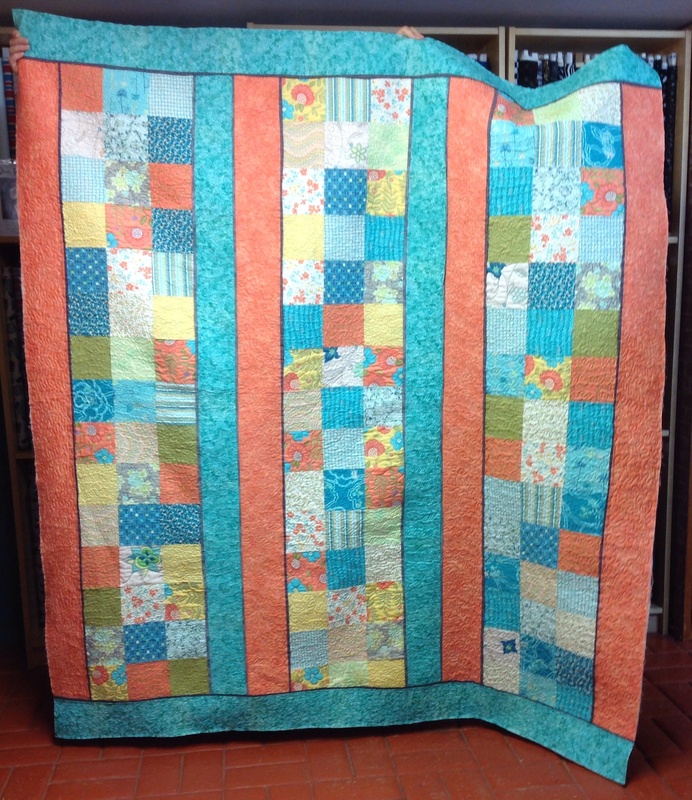 This quilt-as-you-go method is a great way to approach a large quilt and complete the quilting on your domestic machine. Finally, there is news of another Apatcheez victory. Lesa has taken out the Hangers’ Award (akin to the Packing Room Prize for the Archibald) at the EKKA for her entry “Laura’s Garden”. 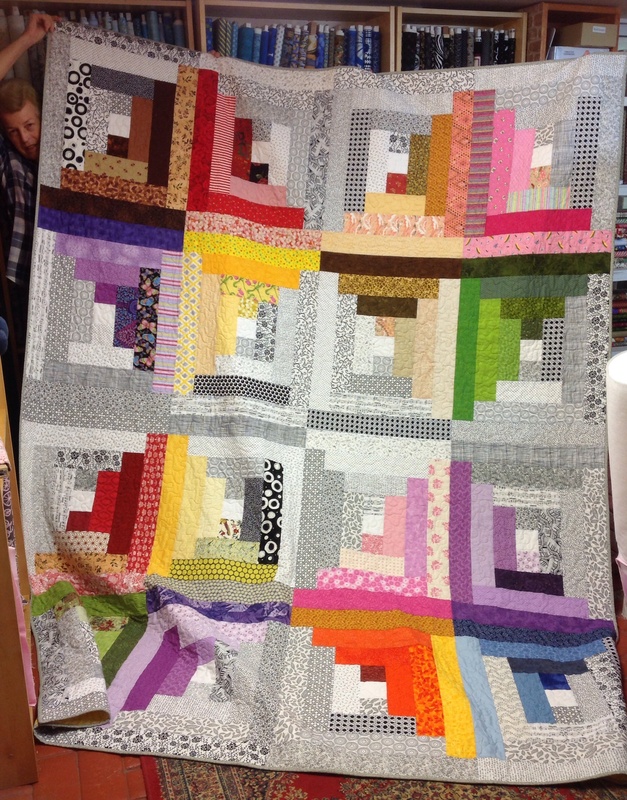 You will have seen this quilt before when she won her section at the Brookfield Show. Well done Lesa. It is a beautiful quilt and a well-deserved win. Look at all those fussy-cut hexies people and be amazed! 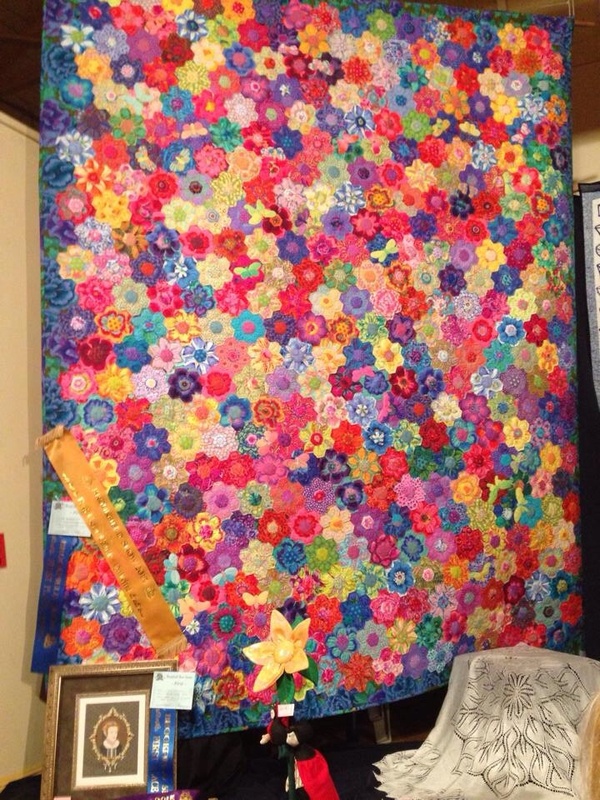 This entry was posted in Quilt shows, Thursday pow wow and tagged EKKA by Apatchy Kaye. Bookmark the permalink.